CLOSED: New Year Giveaway - Urban Decay Full Spectrum Palette! I am sat in my PJ's on New Years eve typing this, 2016 is almost over - how has your year been? For me, 2016 has been a pretty good year with lots and lots of changes, highs and lows but overall it's been a positive year. For my blog it has been a fantastic year, it's had a revamp (thanks to my clever boyfriend Rob) and I found my blogging mojo again, I am very much back into the swing of things after a break in 2015 (that year was not so great). 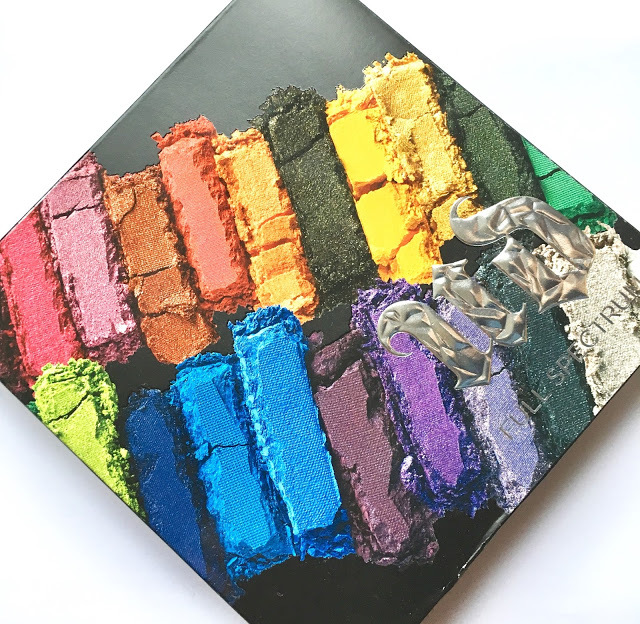 So I thought I would start my blogging year with a positive, a beauty giveaway - an Urban Decay Full Spectrum Palette. 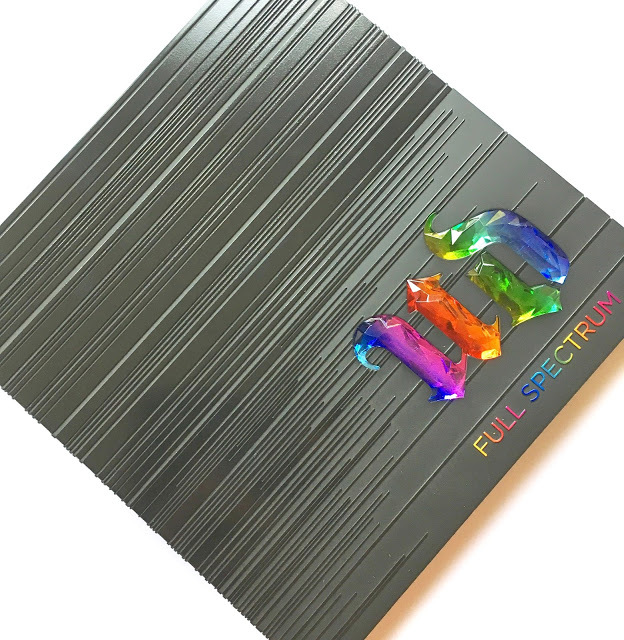 I recently reviewed the Urban Decay Full Spectrum palette HERE which is worth £43.00 and can be found in most department stores or on Urban Decay's website. I love the palette and I think it is very versatile for use all year round and I have been kindly gifted one to giveaway to one lucky reader! All you have to do to enter is follow the instructions on the rafflecopter widget below. I also want to say a massive thank you to all of my readers, old and new, for continually reading my weird and wonderful ramblings, 2017 is set for many, many more! The runner helping her injured opponent in the Olympics is the first thing that comes to mind when I think about good things that happened this year! The new Star wars films, I really enjoyed watching these. Visiting New Zealand for the first time. I went to Amsterdam for the first time, beautiful city and I can't wait to go back! I moved house and I love it! The summer and going out. Trips to Copenhagen and Lisbon, need to plan more for 2017! My daughter starting school as she was so excited and has really settled in. One of my favorite memories of 2016, was taking the trips to Seattle, Portland, Disney World, and Yellowstone and Teton National Parks with my husband. It was a memorable experience filled with lots of laughter and love. A new arrival in the family must be top. A very selfish one, but I won VIP to see a favourite band. Which meant meeting them before the gig, a 3-song accoustic set (just for VIPs and early entry into the gig). I got 2 hugs from my favourite member of the band in 5 MINUTES (really happy about that) and he also waved at me from stage and made sure I knew he was waving at me. :) So happy that night. My Holiday to Menorca in the summer was by far my favourite time last year. We spent two weeks in Lanzorote our first holiday abroad in 3 years. Our visit to the beach with the children :) Weather was lovely! Getting a promotion at work that I had been working hard for 3 years towards. Exploring the country side with my soon to be husband. Echoing a few other people's thoughts here but the best thing about 2016 was that it ended a couple of weeks back! Really tough year last year but planning on having a much more positive year in 2017! Going on holiday for my 30th Birthday with my bestie! Was only the 2nd time id been on a plane! Seeing my mother three times in one year, as she lives overseas and I'm often look if we are able to see each other once a year. My favourite thing has been leaving my job to become self employed. Being able to see the changing seasons and smell the flowers, simple things but soooo important. Finally getting rid of my ex!!!! Getting my new job after 5 years as a SAHM! The best thing for me in 2016 has to be moving into my new house! Very shocked after having a 14 year old and an almost 11 year old and being on the pill... but finding out I am pregnant!! (24 weeks now!) Definitely my highlight!! Seeing my daughter celebrate her first birthday! Going to Radio 1's Big Weekend! I got a promotion ! definitley seeing the back of it. It's not been a great year for us. The birth of my beautiful Godaughter Beautrice. I have loved getting more into my photography. My favourite thing in 2016 was having my baby girl! Meeting my birth father (i'm adopted) would definitely be the highlight of my 2016! My favourite thing about 2016 was when I took my children to Legoland for a weekend. Couldn't wait for it to end. Looking forward to 2017 so many changes to look forward too. My favourite part of 2016 was celebrating birthdays, christmas and new year eve with my family. They mean the world to me and every get together is a memory. My favourite thing was moving to switzerland to learn french! Oh it has to be the fact that is has ended. It was an awful year for my 3 kids and i.